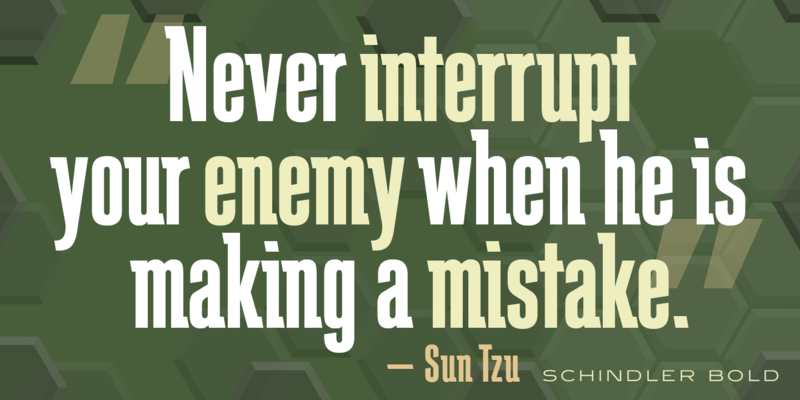 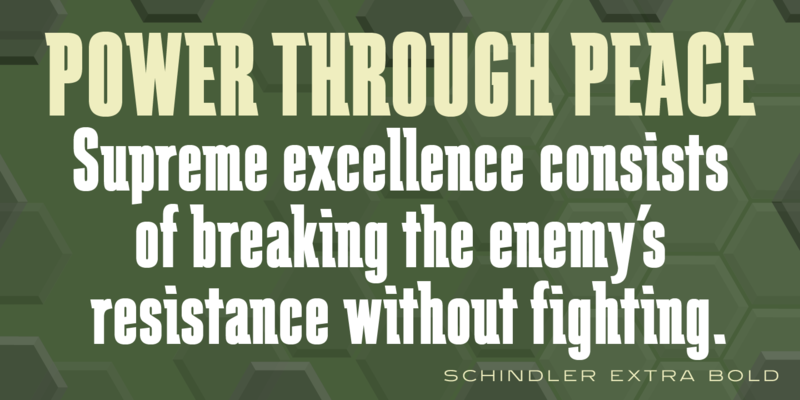 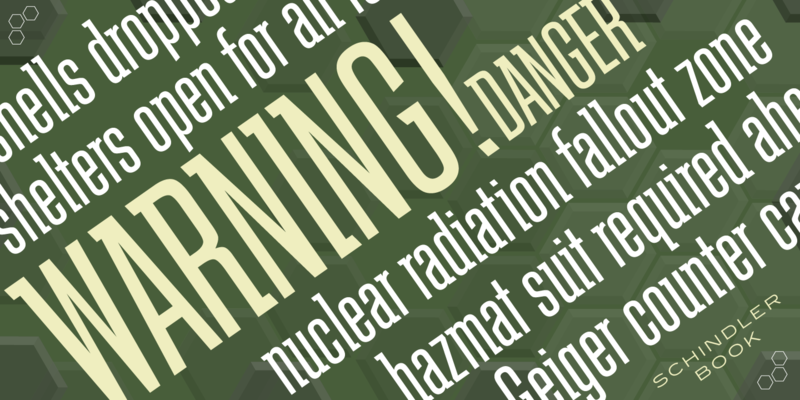 Schindler is a condensed, decorative, sans serif font family. 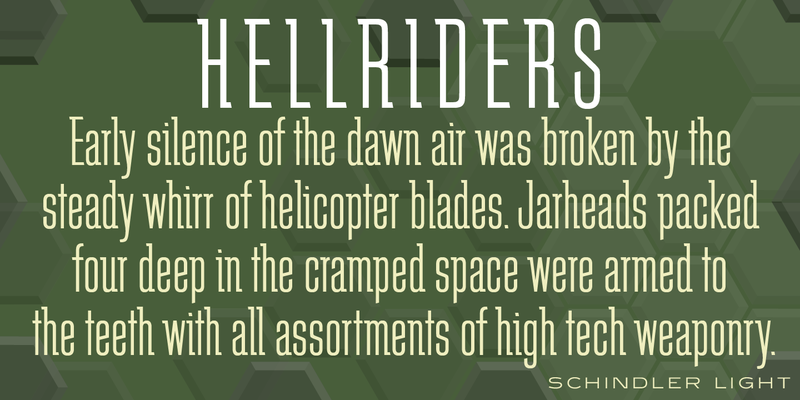 It was created in 1994 by Steve Jackaman (ITF). 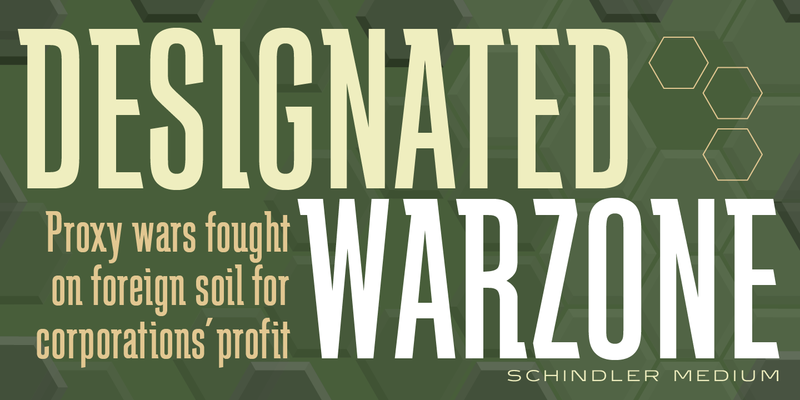 Jackaman was working on Block Gothic Extra Condensed around the same time, and was inspired to create Schindler after experimenting with geometric embellishments to Block Gothic’s letterforms. 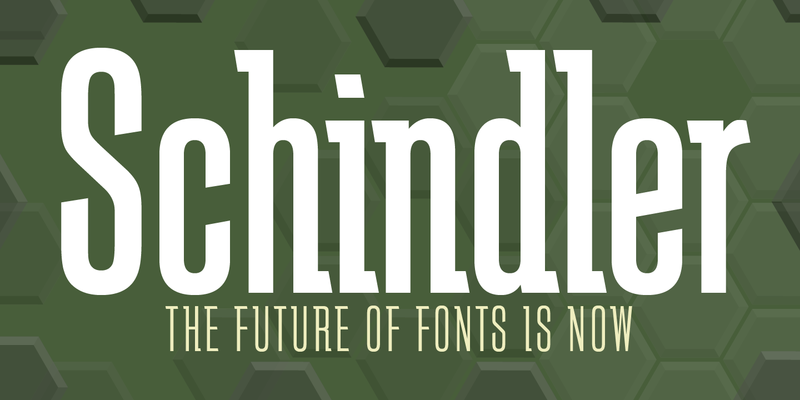 Schindler is a trademark of International TypeFounders, Inc.